Jay is disabled from cerebral palsy, but the summer he becomes eight years old, he finds a true friend in Pedro, and helps a marigold which is growing in a crack of the sidewalk. 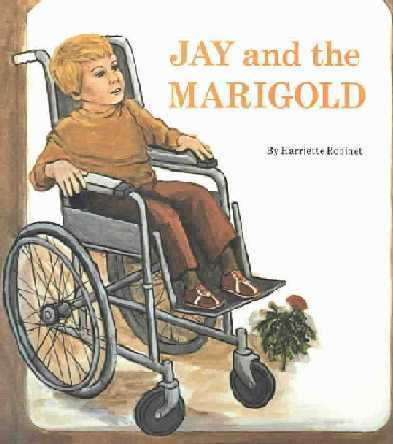 When his "disabled" marigold blooms, Jay knows that one day he too will bloom. OUT OF PRINT. Please check your library.